The Entertainment Identifier Registry (EIDR) global unique identifier system made a significant amount of progress with content in the past year and more growth is expected this year, with the start of EIDR’s second decade just over the horizon, according to Clint Richmond, operations director at EIDR. “One of the messages I want to leave you with today is that EIDR has critical mass and EIDR is growing,” he said Jan. 30 during the start of a presentation called “EIDR by the Numbers: Registry Statistics in Review” at EIDR’s annual Participant Meeting, which drew attendance of more than 100 media and entertainment executives. Content records grew from 1.8 million in 2017, with movies accounting for the most records in 2018, at 333,632, up from 298,411 in 2017, according to EIDR. EIDR also had “4 million alternate IDs” as of January, Richmond said, noting “alternate IDs grew about four times faster than content per content record,” he noted, showing attendees various data charts. 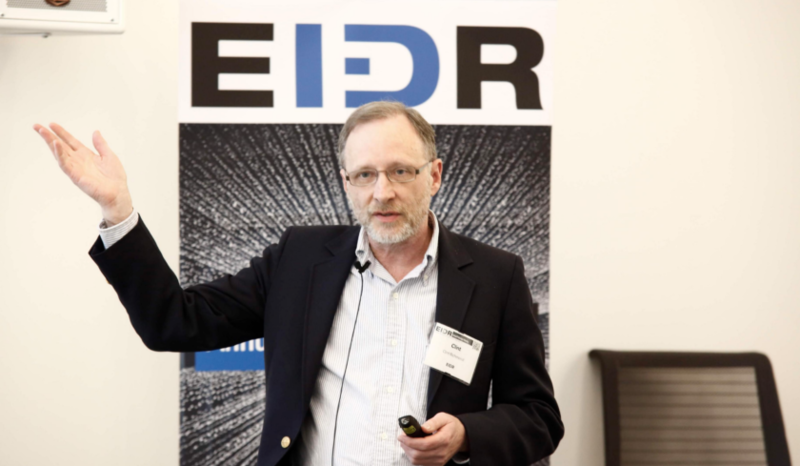 TiVo IDs accounted for the most alternate IDs for EIDR in 2018, at 483,000 IDs, representing “about one-eighth of the whole total,” he said. New to EIDR in 2018 were companies including The Movie Database, Turner Classic Movies, Warner Bros. and Wikidata, he noted. That was “followed closely by episodes, which is of course the most frequent type of content” because there are so many individual episodes of TV shows, he noted. Clips and supplementals, meanwhile, “basically had a base of zero two years ago,” but they increased by the highest percentage for referent types, he said. Examples of the growth there included clips for the music TV show “Austin City Limits” that airs on PBS, while Disney “registered a very large percentage of their supplementals,” including trailers, behind-the-scenes videos and featurettes, he said. “Series and manifestations also grew” significantly in 2018, increasing more than 25%, according to Richmond, who cited Sony as an example of one company that contributed to the growth. The amount of French, German, Japanese and Spanish content is especially strong among non-English languages, according to a slide he showed. He conceded the amount of non-English content was “not quite in the proportion maybe they should be,” noting “we know how large the Indian film market is” specifically, although he projected that will grow at EIDR in the future.